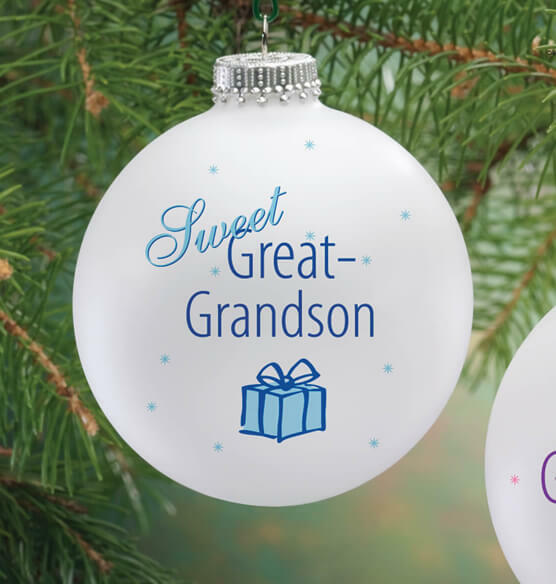 There’s no sweeter gift than a GREAT grandson ... celebrate him with a personalized sweet great grandson ball ornament. Satin-finish. 3 1/4" dia. We’ll add his name to the back. Specify name; limit 1 line, 12 letters/spaces.